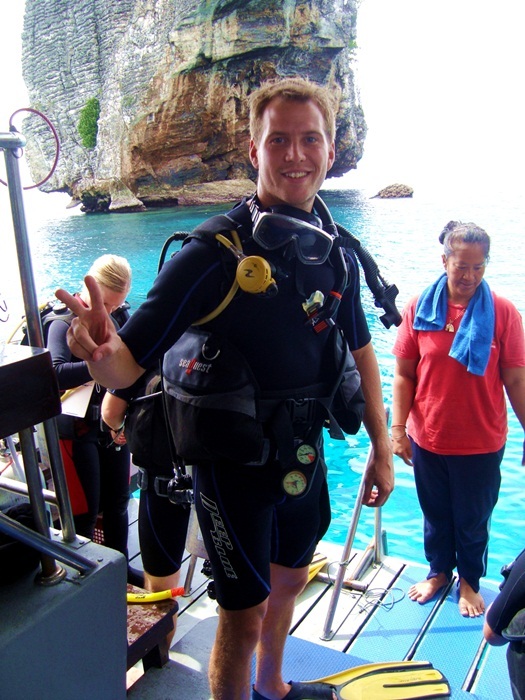 If you are looking for a fun place to study the Thai language, where you also have the opportunity to laze around on some of the most stunning white sandy beaches you will ever see, do some world class diving and snorkeling, perhaps you want to learn how to cook some of your favourite Thai dishes, or who knows, maybe you would like to train to become a Muay Thai fighter, then maybe the Lanta International Language school on Koh Lanta Yai is the place for you. Situated within an archipelago of around 52 islands, in the emerald waters of the Andaman Sea, Koh Lanta Yai is a little slice of paradise set amidst the 15 surrounding islands that make up the Koh Lanta National Marine Park. Only one and a half hours from Krabi international airport, or a short ferry ride from neighbouring Phuket and Phi Phi islands, Koh Lanta is one of the least tourist saturated islands in the South of Thailand. Upon arrival here, you will be greeted by the friendly locals, who, unlike some of the larger more commercial islands, will be genuinely happy to help you with anything you need to make your stay on this beautiful lush island so enjoyable that you may never want to leave. Although Koh Lanta is quite a large island, stretching 22 km form north to south and 6 km wide, with a population of around 20,000 people, it actually feels quite intimate. Mainly due to the fact that the authorities and different organizations are making a conscious effort to limit the negative impact of tourism by restricting building permits, which means you wont find any ugly skyscrapers lining the beaches, instead you will find carefully thought out boutique resorts that offer much more privacy, with long stretches of sandy beach and best of all minimal beach chairs, so you can actually enjoy a nice stroll along the beach. If you go early morning, you might be lucky enough to be the only foreigner on the beach, and this is also a good time to see the locals doing what they do in everyday life. One of the best things about these restrictions is that you can enjoy a day on the beach without being hassled by touts. It’s prohibited on Koh Lanta. Koh Lanta is also one of the last remaining islands that you can still rent a cheap bamboo bungalow on the beach, where you can drift off into a restful sleep (after partying at one of the local beach bars), to the subtle sound of the waves as they roll onto shore. 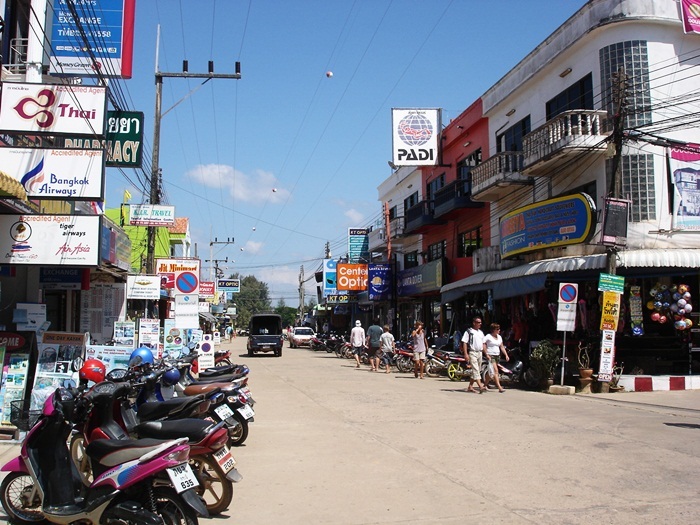 Whatever your style or budget, you can find it here on “lovely Lanta,” as it has commonly become known as. Koh Lanta was once an important “temporary harbor” for Chinese and Arabic trading ships, travelling from Phuket, Singapore and Penang. The picturesque Old Town, was the main port and commercial center for the island, and is still culturally diverse with Chinese merchants and the original sea gypsy (Chao-Le) community. 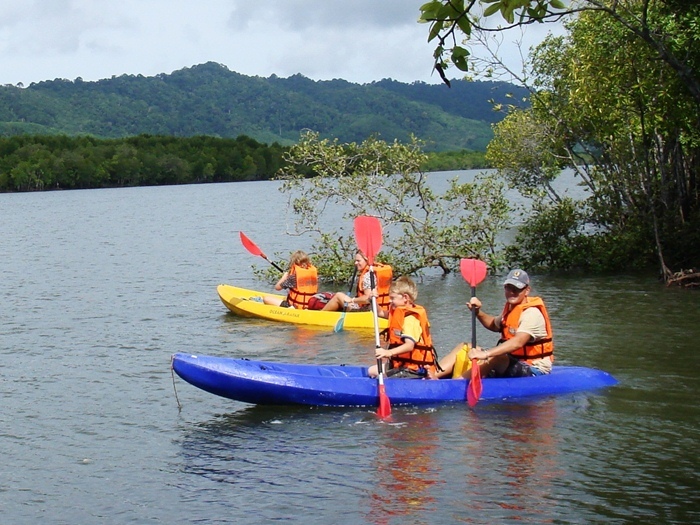 However these days the main source of income is from rubber farming, fishing, prawn breeding, and of course tourism. Nowadays you will find traditional wooden stilt houses that have been converted into restaurants extending out over the still waters of the east coast of Koh Lanta. With views extending to the beautiful islands of the national park surrounding Koh Lanta and the rugged backdrop of Trang Province. Tropical and humid are the words to describe the climate in Thailand. Which is usually why most people flock here, to escape the less desirable climates in their own countries. Temperatures range between around 28-34 degrees, dropping a little in the evenings. But don’t worry, most hotels and restaurants have their A/C running 24 hours for those of you who cant handle the humidity. The sea temperature rarely drops below 28 degrees, which means you can swim comfortably for hours without feeling cold. 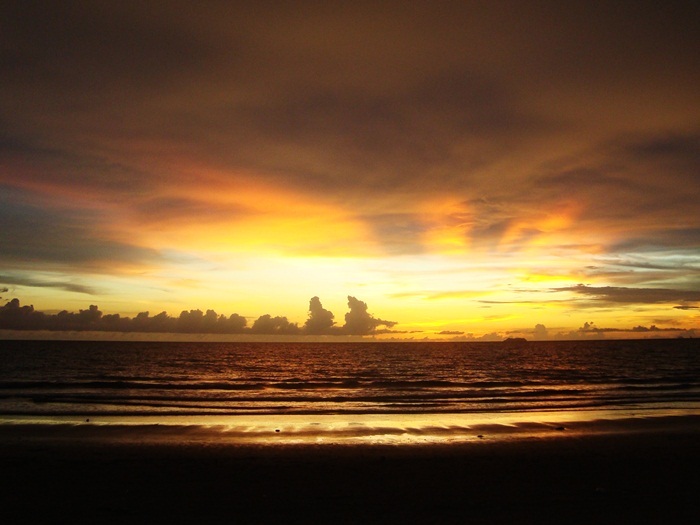 The best time to visit Koh Lanta is between October and May, which is the main tourist season. October until January are the coolest months and gradually they become hotter up until April which is the hottest month of the year, but thankfully the one where Songkran “Thai new year” is celebrated, by the pouring of cold water on each other. This is one of the biggest celebrations in Thailand, and so much fun to be a part of. May to October is the “rainy season” however do not be mislead by this title, yes it does rain, but quite often only for a few days at a time. If you enjoy quiet places and less tourists, then this may be the time for you. Fewer tourists mean lower prices, and more options. Some guesthouses and restaurants do close down for the low season, but that’s not such a bad thing. The low season can be just as good if not better for studying and enjoying the island. 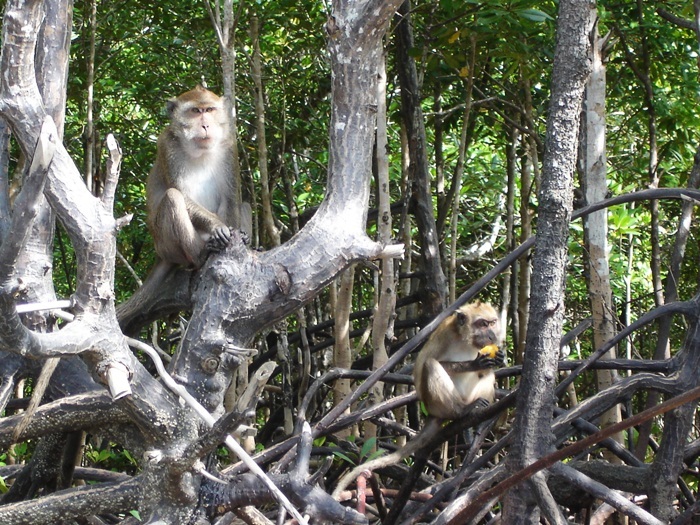 There is an abundance of nature on Koh Lanta, from untouched forests, limestone caves and tropical jungles to sweeping seaside’s, mountain ranges falling into rubber plantations, wild sunsets on the west coast beaches to early morning kayaking through the ever so important mangrove systems on the east coast. 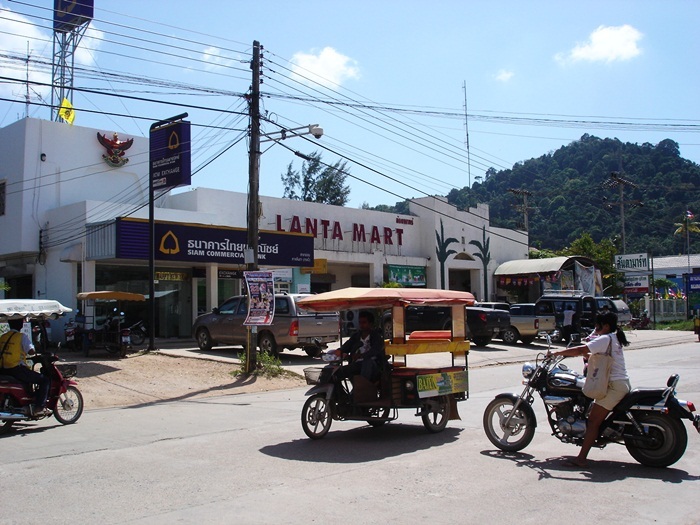 Koh Lanta is still relatively inexpensive for food compared to our sister islands, Phuket and Samui. You can find local eateries where you pay 35 baht for a delicious local dish over rice, but don’t expect service in these places. Most Thai restaurants will have a good variety of dishes where you can expect to pay 50-100 baht. If you are looking for Western food, then obviously you will pay much higher prices, due to the fact that a lot of ingredients have to be imported. Don’t be surprised if they are not what you expect, remember you are in Thailand. You can rent a motorbike in Koh Lanta for around 2500-5000 baht per month, or around 200-300 baht per day depending on your bargaining abilities.